Chang Minwoo was selected as a member of Structural Performance Enhancement Research Center. Chang Minwoo received Certification of Venture Company and became a member of Super Tall Building R&DB Center / True Green Consortium. Chang Minwoo obtained IOS 9001:2000 / KSA 9001:2000 certification and Corporate R&D Center Accreditation for Alternative Military Service Program. Construction Technology R&D Center was established. Chang Minwoo obtained SAFETY DIAGNOSIS SPECIALIST REGISTRATION from the Ministry of Land, Infrastructure and Transport (MOLIT). 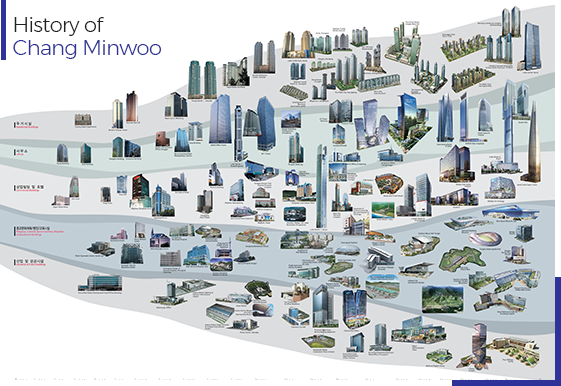 CHANG MINWOO STRUCTURAL CONSULTANTS was established.